MAKE AHEAD TURKEY GRAVY is an absolute must for an easy and stress free Thanksgiving! YES It’s possible to make Turkey Gravy without drippings and YES you can make it ahead of the big day. Once we learned How to Make Turkey Gravy we have never gone back to store-bought. 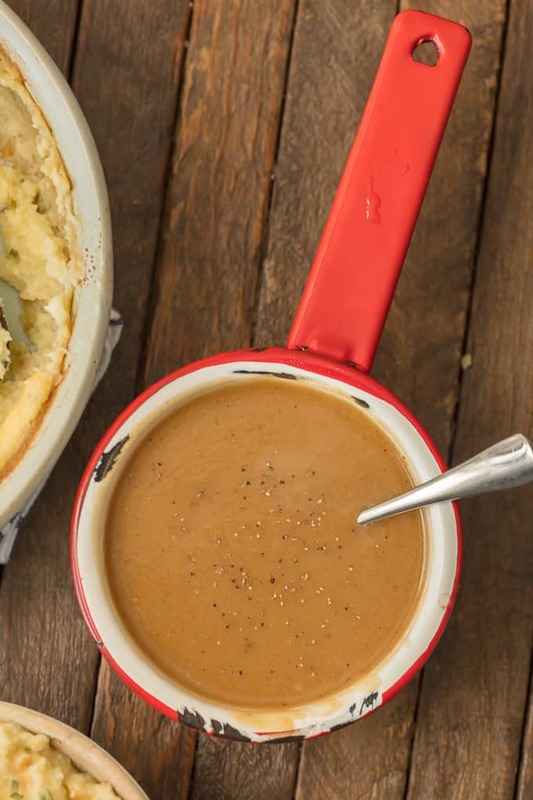 This Make Ahead Easy Gravy Recipe is genius. This Make Ahead Turkey Gravy Recipe is the ultimate Easy Thanksgiving Side Dish. Making turkey gravy is simple with this easy gravy recipe! This Homemade Turkey Gravy Recipe is going to change your life. I’m here to make your easy Thanksgiving dreams come true. This week Mom and I (mostly Mom) put together the ultimate EASY Thanksgiving feast and it’s coming to you right now! 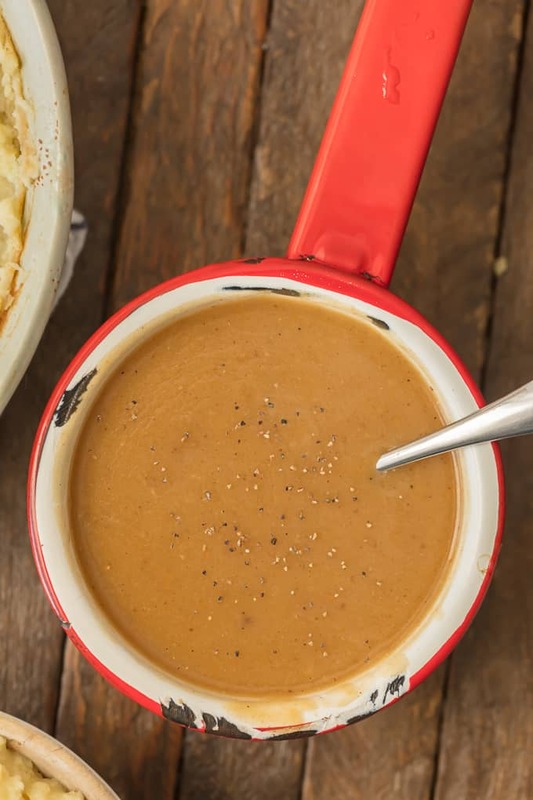 This make ahead gravy recipe is just one of many easy dishes for the big feast. 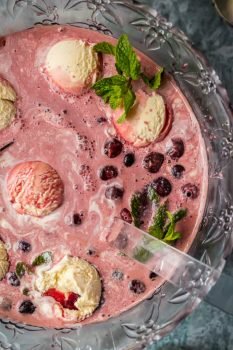 We have lots of favorite holiday recipes but this collection of simple and quick ideas is really all you need for the ultimate holiday. Let’s dive right in with this Make Ahead Turkey Gravy!! This Make Ahead Turkey Gravy is my go to easy gravy recipe for mashed potatoes, turkey, and everything else on Thanksgiving! Make Ahead Turkey Gravy is the perfect easy recipe for the holidays. 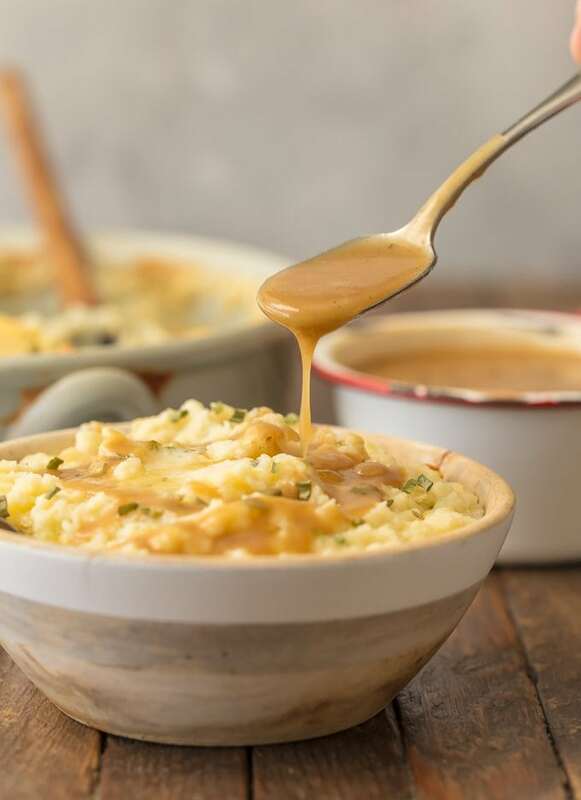 Thanksgiving isn’t complete without the perfect easy gravy recipe to serve with turkey and mashed potatoes. I’m not the girl who wants to be in the kitchen all dang day while friends and family hang out for Thanksgiving. I’m just not. Never have been, never will be. So easy recipes like this Make Ahead Turkey Gravy Recipe is just the ticket for me. I can still prepare an awesome meal and feed the ones I love, but I don’t have to miss all the festivities. The more you can have done ahead of time the better! This make ahead gravy still has all the flavor, so you won’t be sacrificing any home cooking flavor if you make it. It’s so tasty and hearty! You can check the recipe card below to get the full set of instructions for this make ahead gravy. But here’s a quick overview of how to make this easy gravy recipe. Cook turkey pieces on the stove with vegetables, then add in sherry and herbs and continue cooking. Pour chicken or turkey broth through a strainer into a large bowl, and shred turkey meat from the bones. Make the roux by melting butter in a pan and whisking in flour. While the roux is cooking, pour the broth into a saucepan, add in the turkey, and bring to a simmer. Add 2 cups of broth into the roux, whisking vigorously until smooth. Then whisk the mixture into the saucepan of broth and turkey. Let the turkey gravy simmer for 30 minutes until it thickens, stirring occasionally. 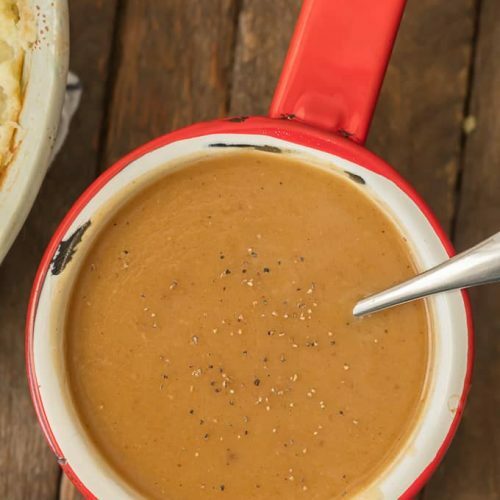 You can make this easy gravy recipe up to 2 days ahead of time for your Thanksgiving meal. How long does Homemade Turkey Gravy keep? Sadly, Homemade Gravy will only keep about 2 days in the fridge. You can, however, bring it back to life by boiling right before serving. Neat trick! You can also freeze this Make Ahead Turkey Gravy for up to 4 months. Boom! Our MAKE AHEAD MASHED POTATOES (make up to two days in advance!!! 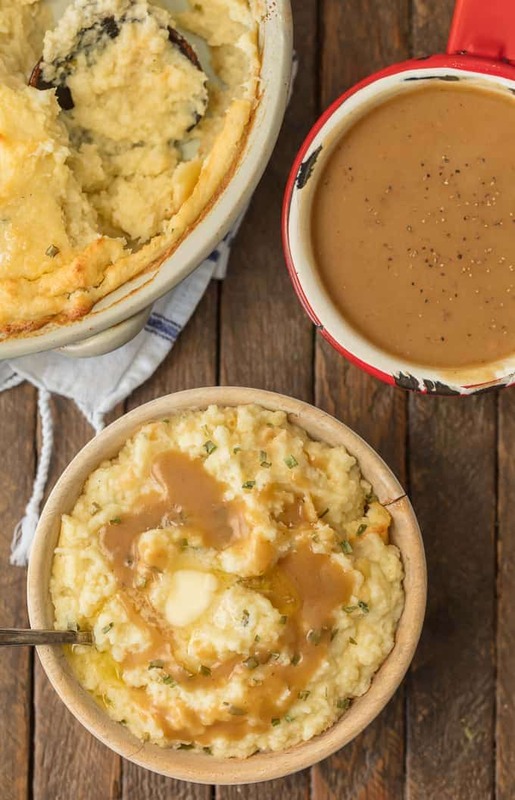 They’re pictured above) are the perfect way to use all your Make Ahead Gravy. 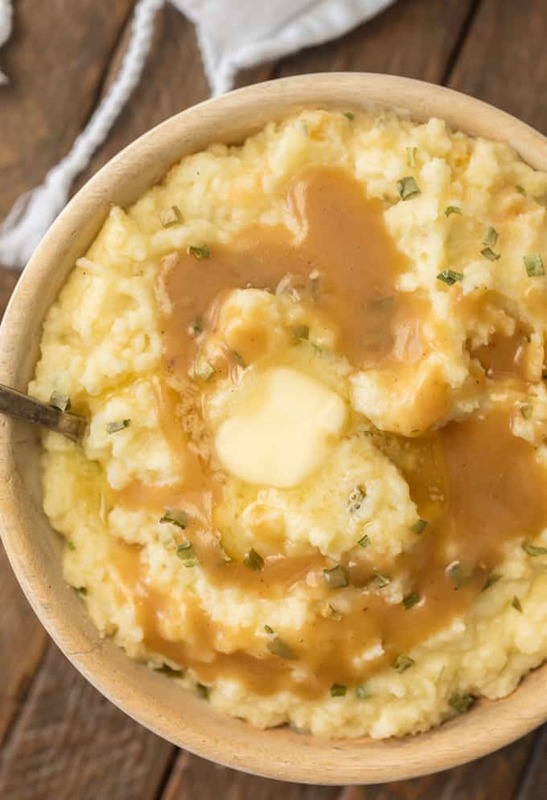 But if you’d rather let a crockpot do all the cooking (thumbs up), try our Garlic Butter Slow Cooker Mashed Potatoes. (They’re my secret favorite). If you prefer to make your gravy NOT ahead of time, we also have this great Classic Turkey Gravy Recipe. See the recipe card below for full details on How to Make Turkey Gravy. Enjoy! Plan your entire holiday menu with our guide to easy Thanksgiving recipes! MAKE AHEAD TURKEY GRAVY is an absolute must for an easy and stress free Thanksgiving! YES It's possible to make Turkey Gravy without drippings and YES you can make it ahead of the big day. Once we learned How to Make Turkey Gravy we have never gone back to store-bought. This Make Ahead Turkey Gravy Recipe is genius. Sprinkle the turkey pieces with salt & pepper. In a large Dutch oven or large saucepan, heat oil over MED-HIGH heat. Brown the turkey pieces 3-5 minutes on each side then add the carrots, celery and onion. Cook another 5 minutes, turning once, until vegetables have begun to caramelize and have some golden brown color. Turn heat to LOW, cover and cook for 15-20 minutes. Stir every 5 minutes. Scrape the pan, while slowly adding the sherry or wine, to deglaze the pan. Continue scraping the pan and add the chicken broth, stir continuously. Add herbs, turn heat to HIGH and bring broth to a boil. Reduce the heat to LOW and simmer, uncovered, for 30 minutes. Skim excess foam off the surface as needed. Pour broth through a fine-mesh strainer over a large heat-resistant bowl. Shred the turkey meat from the bones, and (if desired) reserve ¼-½ the meat for the gravy. Freeze the remaining meat, in a freezer bag, for later use. Pour the broth back into the large saucepan, and bring it to a low boil. To make the roux, melt butter in a medium saucepan over MED-LOW heat and whisk in flour. Cook, stirring continuously, until the flour mixture is fragrant and nutty brown, 10-15 minutes. While whisking vigorously, slowly add 2 cups of the hot broth to the roux (flour/butter mixture). Whisk until the mixture is smooth and there are no lumps. Whisk the roux mixture into the simmering broth in the large saucepan. If making gravy with the reserved turkey meat, add it to the gravy now. Season the gravy to taste, and bring to a boil. Reduce the heat to low, stirring often, and keep at a simmer until gravy has thickened or about 20-30 minutes. Cover and set aside to cool to room temperature. You now have turkey gravy. Cover & refrigerate or freeze until ready to use. This is easy?? It is way easier the way my mom/grandma made it. Take the drippings from the turkey, put in pan on the stove, make a roux with flour and water, add seasonings to taste, let thicken. Takes less than 1/2 hour. Hey Tara, that’s a great way to make it as well. This way you can make it ahead of time and have it ready on Thanksgiving. Hope you have a great holiday! I’m sorry to keep bothering you. I’m making the stock. I was curious to know if ANy of the veggies had to be cut in smaller sizes besides the onions? Becky I just wanted to touch base and let you know that we all enjoyed the gravy so much. I was able to freeze the gravy and use it at for another time. I loved the flavor and making it ahead was such a great relief that I was able to just reheat it without having to start to make it right after I made the turkey. 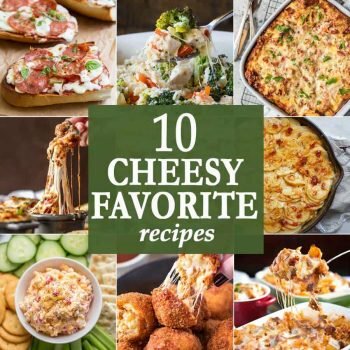 I made your Crock-Pot potatoes recipe too. It was So nice to have another time saver recipe. Both recipes were terrific. The best part was no matter what time I emailed my questionS to BECKY SHE took time to RESPOND BACK and she responded fast. Hi Becky. I’m making your gravy recipe. I’m a bit unclear about the two cups reserved broth out of total 8 cups. After boiling and straining the boiled broth, do I add the unused 2 cups to this broth? Or boil it in a separate saucepan to be added to the roux? Wondering how to make the gravy smooth with turkey added to it. Sorry I’ve not made gravy before and it would help if you clarified that. What do I do with the remaining 2 cups of broth? What do I do with the remaining two cups of stock? I’m rewriting the recipe now to make it simpler. Should have it up in a few minutes.